A new exhibition has just opened at superobjekt gallery in Borgergade in Copenhagen. This is a fascinating concept. These designers, in their designs for a font or for dinnerware or for street furniture, invest a huge amount of their time on the commission - on the initial concept, the process of refining their design, the production period and so on - but the final work is clearly fixed in time … it is finished or as Tina Midtgaard, the owner of the gallery who commissioned the show, points out, “no part will be changed, removed or added.”. Ironically, or do I mean very naturally, many designers hope that their works will continue in production and possibly even, become that iconic and rare accolade to be described by critics as “timeless”. One issue raised recently in posts here is that rarely does the public, the consumer, appreciate the role of the designer and the effort and time they have invested in a project. Some designers are complicit in that, modestly stepping back from their works. Somehow it seems better to imply that it was easy natural skill and talent rather than hard work that was required. Occasionally a retrospective or a new book will catalogue the range and extent of a designer's work and show all the intermediate stages and the development sequence that led to a well-known design but that is still relatively unusual. There is an opportunity here for the designers to produce a single piece, a single statement, and one that moves their work into the area more usually associated with artists … producing a single statement to convey a thought or an impression or a viewpoint on life to stimulate discussion, stop the viewer, make them think. It also gives those outside the design world an insight into the thought processes involved in the completion of a design project. Here, in these pieces, ideas about time are piled up, layered or dissected. And most involve word play. Large posters of food and recipes by Susse Fischer are entitled måITID or mealTIME. Wooden clock cases by Peter Bysted - Din tid, Min tid, Tik tak - do not have workings, they are simply the cases, so ironically cannot record or mark time, but one was made by Peter Bysted himself, so he invested his time and it is the piece where the wood is split and heavily grained, so has the strongest sense of age, while the other two were commissioned from a cabinet maker, his time in a sense was bought, but the wood is pale and more perfect and less clearly fixed in a style or specific time and, of course, the very design of the long case clock is now an anachronism, in an age of digital time, that respects and looks back to an older and now rare type of furniture where time was wound up and released. In a similar way the stools and sundials by Christian Bjørn reflect time sharply and explicitly ... the stools in metal rust over time and the sundials with the gnomon in a sawn-through log mark off the passing of time each day but of course the rings of the tree, seen in the cross section of the trunk, record a precise passing of time, growing season by growing season, that ended when the tree was felled. For me, and for specific personal reasons, two of the works had the greatest impact. Ursula Munch Petersen has laid down two lines of bricks, one pale yellow stock brick and one line of brick-red bricks, that are in progressive stages of being worn down by the sea and are laid in opposite directions perhaps to reflect the ebb and flow of the sea. As an architectural historian, all my work is about our buildings in time … fixed by the time and attitudes of the period in which they were built but also looking at how they are effected over time as people adapt and change their buildings. Here in Tidens Tand was human construction in a much longer time frame … the implication of the geological time taken to lay down the clay from which the bricks were made and the time, long after there is any link with an identifiable building, for the bricks to return to pebbles, grit, sand. Curiously, it was the work by Ole Søndergaard that had most impact. Surprising only because this is a series of small pieces with icebergs shown in section with a polar bear on one and whales and dolphins on others but the style of the works is bold and graphically strong and in the Danish tradition of beautifully-made toys for children. It was actually after I left the exhibition and was thinking about the meaning of the various works that the impact of the Isbjergs motiver/tiden hit me. Many years ago I went to the Upsala Glacier in Argentina. There in a boat at the snout I have never felt so small and insignificant and curiously it was that that made me feel positive about the future. The ice rises over 100 metres above the water and runs down 900 metres below the surface to the bottom of the valley that the glacier has cut out so it is a wall of ice around a kilometre high and here the front of the glacier, stretching across the valley, is 4 kilometres wide and runs back over 110 kilometres to the source. My feeling then was that, for all our arrogance and bravado, man is pretty insignificant and the planet moves on regardless of what we do. There and then the most impressive and dramatic part of that visit was to see the glacier shedding huge blocks of ice. After a sharp explosive sound a block of ice, an iceberg, would drop and float away down the lake. This is called in English calving … giving birth. It was only some 25 years later that this exhibition in Borgergade made me realise, with a start, that the ‘birth’ of an iceberg from a glacier or ice sheet is perhaps one of the most potent signs of time that we have. It is the beginning of its ultimate end. Art is so often about symbols and meaning and representation and here in a simple line of child-like icebergs is an incredibly powerful statement about global warming. An iceberg records time passing but at a very different scale to a clock or a sundial. If the lifespan of an iceberg, from calving to melting away, gets shorter and shorter, the alarm, that wake-up call, is very loud and should not be ignored. 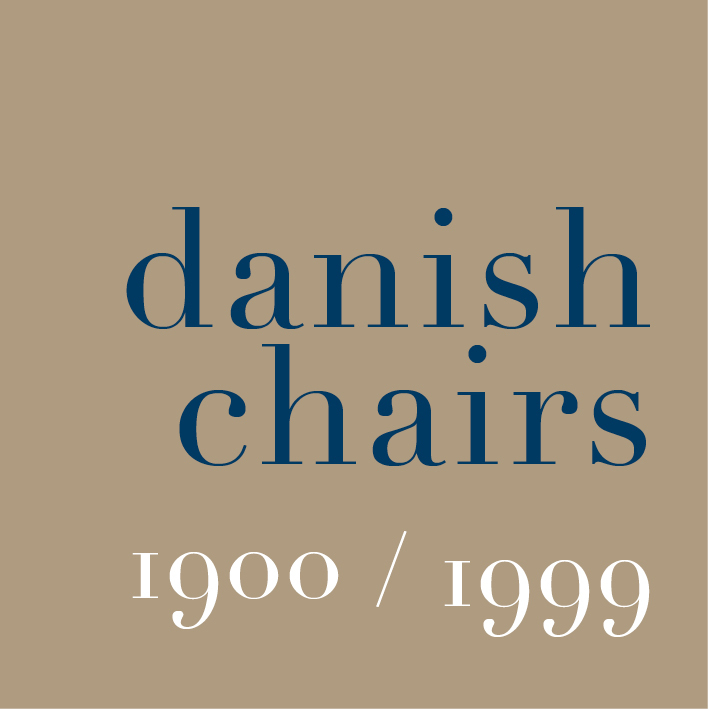 The designers taking part in the exhibition are Boris Berlin, Christian Bjørn, Peter Bysted, Susse Fischer, Knud Holscher, Ursula Munch Petersen and Ole Søndergaard. superobjekt gallery, Borgegade 15E, 1300 Copenhagen.